The Brewer’s Association definition is that a craft brewery must be small, independent, and traditional. We are a small family owned brewery dedicated to quality and consistency delivered from pure all natural ingredients brewed from historically honored traditional brewing methods. Why choose craft beer? It’s simple, craft beer tastes better! Craft beer is a pleasant alternative from the mundane and indistinctive “domestic beer” that is mass produced for the mass market. Craft beer is an art. Brimmer Brewing is dedicated to concentrate their effort, passion, and reputation in producing handcrafted premium beers which can be enjoyed and appreciated by everyone. The proof is in our product. If you want a craft beer choose a Brimmer Beer. Craft beer is more personal. Visitors are welcome to our brewery tour, where they can see the equipment that makes their favorite beer. And more importantly they can meet and interact with the brewers that create the fresh beer they enjoy. Craft beer can be enjoyed for everyday celebrations and is one of the special libations in life that makes the day taste and feel a little better. Each serving exhibits the creativity and passion our brewers contribute to make Brimmer Brewing a desirable craft beer. Brimmer Brewing was created in the summer of 2011 with the passion and promise of producing the finest ales and lagers in Japan using all natural ingredients and traditional brewing methods. 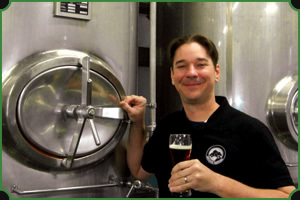 Brew Master and Founder Scott Brimmer brings a wealth of international brewing experience and accolades ensuring each beer produced is true to its individual style and first class in every way. Every beer produced at the Brimmer Brewery is the “brewer’s choice” following an unbridled pursuit of character and flavor. We believe in the simple principal of Quality and Consistency. Each style we make is as individual as the people drinking them, so order a Brimmer beer and we’ll deliver the quality you deserve! Prepare yourself for premium American and British style ales along with deliciously smooth yet crisp easy-drinking German lagers.